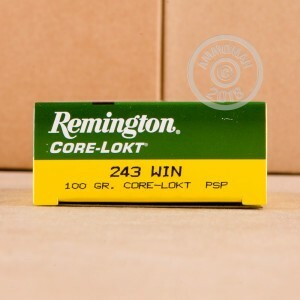 Be ready for deer season or get some good practice time in with this 243 Remington Core-Lokt ammunition! This line of ammo is uniquely designed with a mechanically locked core to deliver deep penetration once you strike your target. The expansion you get from the projectile is nearly two times its original diameter, creating a devastating wound. These bullets are also able to retain their weight well, which is very important when you're trying to knock down a big one. 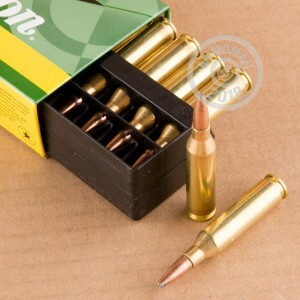 These rounds feature Boxer-primed brass casings and can be reloaded. Corrosion will not be an issue with this product, so feel free to stock up. Remington Arms Company was founded in 1816. With their rich history, they continue to be a leader in the ammunition industry, producing products worldwide. 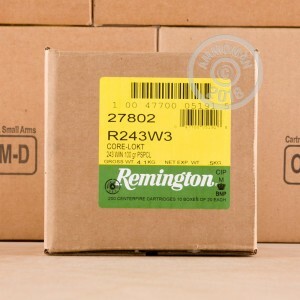 You can depend on reliable, high quality products from Remington.